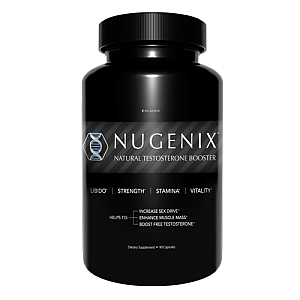 Nugenix Free Testosterone Booster is promoted as a safe and specially formulated dietary supplement that helps your body increase its free testosterone levels. 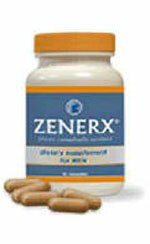 Its main ingredient is Testofen, which contains Fenuside from fenugreek, a rare plant. The potency of Nugenix is maximized through a special blend that includes Testofen plus additional key ingredients that include zinc and vitamin B6 and vitamin B12. Testosterone levels decrease naturally with age, especially for an overwhelming majority of men. Natural production of this primary male hormone increased from puberty up to age 30, then decreases from there. 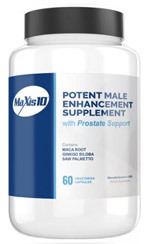 For many males, this reduced level means lower libido and loss of strength and stamina in bed. Thus, the main benefits linked to increased testosterone are improved libido and sexual performance, as well as newfound vitality and passion. 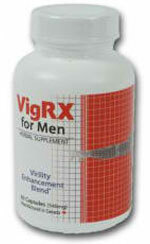 The recommended intake of Nugenix is three capsules, taken at the same time, on an empty stomach. On days that you work out, it may be beneficial to take it 30 to 45 minutes before you work out. On days that you don’t, it is recommended to take it in the morning. You can increase dosage by one to two capsules, which is still considered a safe tolerance zone. Coming from a stable of well-known, well-stocked family of supplements, Nugenix is a strong contender in the male enhancement game. Its testosterone boost is a great selling point, as this male hormone governs a lot of male characteristics and function, such as libido and sexual vitality. But what turns us off when it comes to this sexual enhancer is the multiple number of pills taken at once, particularly three pills, which can prove to be quite costly and going against our one-pill-a-day preference. This recommended dosage can even be increased by one to two pills, which brings to question the formula’s strength and potency. Furthermore, it can make for a better and smarter shopping experience if Nugenix offers special discounted packages, since many capsules are required for regular use.